Are you an awesome mama with more than the "average" 2.3 children? Are you a grandma blessed with many grand babies? Due to lots of requests from people like you, I have created a way to represent up to 10 of your loved ones in one Sweet Pea! 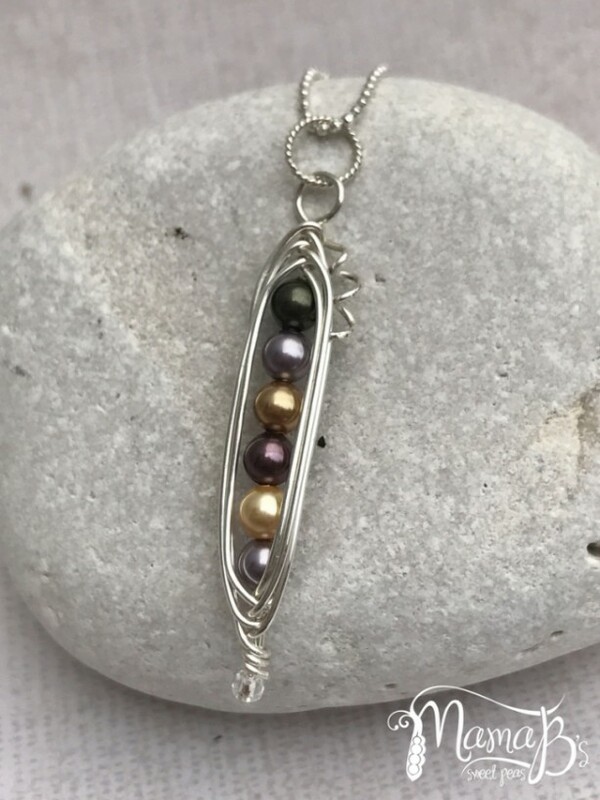 Full Quiver Sweet Peas are made with larger gauge (thicker) wire and smaller beads, and can accommodate between 6-10 peas. They can also include Angel Peas. Please see my other full quiver listings for the additional size options. 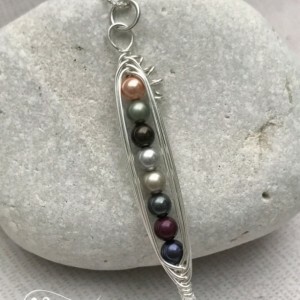 Handmade and personalized to order with: - Genuine Sterling Silver wire - 4mm Swarovski Crystal Pearls or 3mm Swarovski Crystal Pearls "Angel Peas" All of Mama B's Sweet Pea products are made with beautiful Swarovski Crystal Pearls. 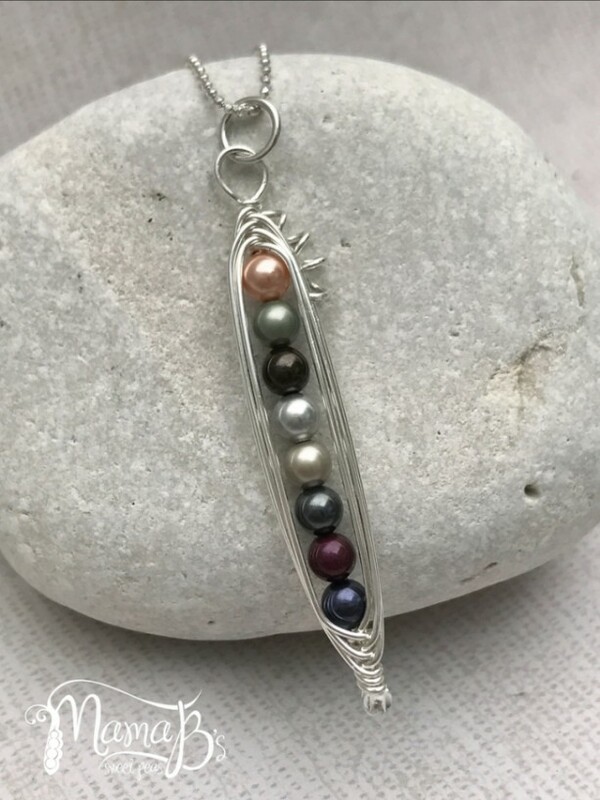 Unlike synthetic glass pearls, these pearls have a leaded crystal core that gives them a heavier feel and allows them to warm to your skin like natural pearls. 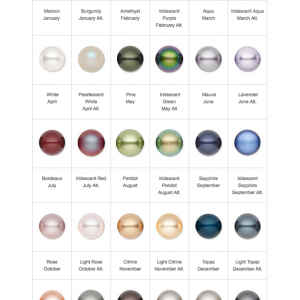 The specialized coating gives them an exquisite sheen and luster with great durability, including resistance to perspiration, UV rays, perfumes and scratches. Great care has been given to choose components of the highest quality to create your Sweet Peas. 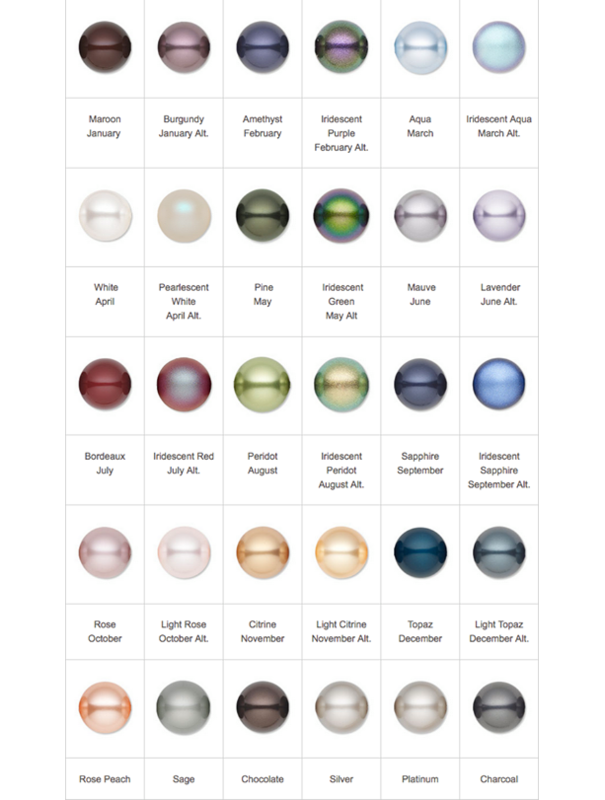 I absolutely love these pearls, and I'm sure you will too! A note about ANGEL peas: Angel peas are smaller than the standard peas used to create Sweet Pea jewelry. They represent the ones we have lost - whether that be ones we never were able to hold, or the ones we were only able to hold for a short time. All pea colors are available in both standard and ANGEL sizes. Please use the buyer comments section to indicate what peas, if any, you want in ANGEL size.